If you feel inclined to minimise holiday/Christmas décor, declutter to a point where you are comfortable with the quantity, the effort involved and the storage space required after the event. Try to get as many people on board with the no gift giving rule as possible. Give gifts of experience not clutter to those with whom you can’t avoid gift sharing. This includes children. Try doing a secret Santa when there is going to be a large crowd together for Christmas, everyone buys and gets only one gift. The environment and your bank account will thank you for it. Do as much pre-holiday preparation that you can now before the rush really sets in. Don’t be presumptuous about how your family want to celebrate the holidays. Ask their opinion. You may be going to far more bother than necessary. If you are having a crowd at your home this Christmas why not allocate everyone to bring a plate of food. It will lessen the burden of expense and effort on your part. It is never too late to start a new tradition if you have never adopted this practice before. Start good holiday traditions while your children are young. 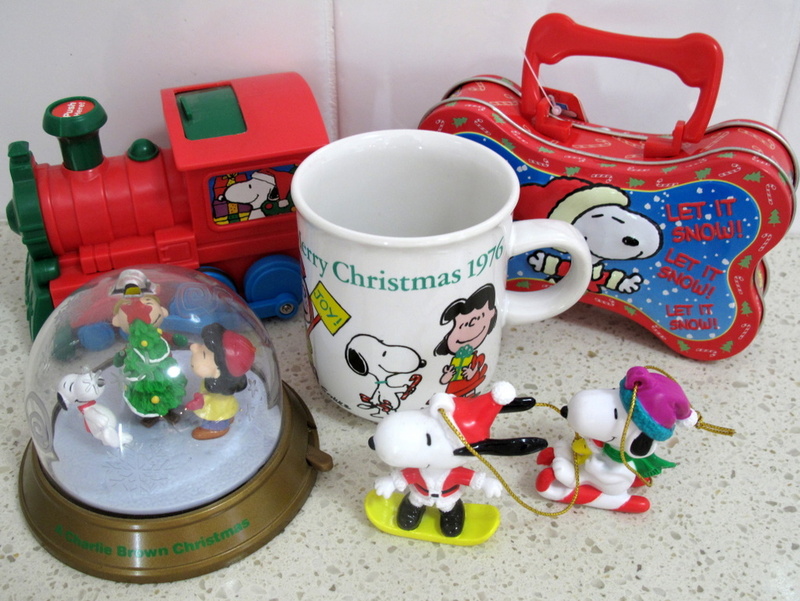 Set limits on what you give them and introduce them to charitable deeds by encourage them to declutter their old toys prior to the holidays by donating them to children less fortunate than them. Send emails instead of cards, you don’t have to go out to buy them, you don’t have to write each one individually (just copy & paste) and you don’t have to stand in line at the post office to buy stamps to send them. And to top it off polluting transport isn’t used to deliver them. Don’t sway to popular opinion, do the holidays/Christmas your way because that is the best way. Today’s mini mission was to declutter kids toys to make way for the holiday gifts coming in. Look at me I am still decluttering my son’s old toys and he is 20 years old. It was a collection though, which can end up hanging around a bit longer the the norm. I am slowly but surely having success with selling them on ebay. Rain. It’s been a warm dry week so far and I was just thinking this morning that I might have to water the garden this afternoon. Well that chore is done and I didn’t even have to lift a finger. This is a good post. I remember one year Mom was dreading doing the full Christmas meal. I told her to ask everyone if they really cared whether we had all that stuff. I suggested we have a salad bar with all the fixins. Easy to prepare, much can be prepared ahead, it would be a lot less calories and would be lighter fare. Everyone jumped at the idea. From then on we started lightening up the Thanksgiving and Christmas meals. Everyone was grateful. This is often the case, we blindly follow tradition when no one really cares so long as the are celebrating together. We keep slaving over things thinking that is what is expected. This is a lesson I have learned through decluttering. Don’t assume people are attached to a certain piece of clutter just because they haven’t volunteered it for decluttering or they wanted to keep it the last time I asked. Quite often they have moved on and so now can the item collecting dust. One tradition we left behind years ago was having tons and tons of every kind of holiday food there is. Yes, there are leftovers (more now that we typically share our Thanksgiving with 10 other adults and 4 children) but there’s not a crazy excess. No turkey AND ham and six kinds of vegetables and four kinds of pie, etc. I think we can all relate to this. You end up eating leftovers for days. The first couple of meals it is nice to be lazy but it gets a little boring eating the same thing over and over again soon after that. Overcatering is often a problem when a lot of people are celebrating together because having too much is preferable to not having enough. Trouble is we tend to overeat then as well. Got to try I bit of everything and the New Year comes around and the inevitable resolution is to lose a few pounds. I’m going to try to get some of the family onboard with a no gift giving rule. All gifts to those outside our home last year were experience gifts. We gave tickets to the circus, gift certificates for a Segway tour, and movie tickets. It was so much fun to share in experiences instead of the usual junk gifts that get passed around. Hi Freedom, I love the experience gifts although when there are a lot to give to it can get awfully expensive. I find the secret Santa the way to go when it comes to Christmas. When we aren’t together though we don’t give gifts at all just a phone call and a card. We are all happy with that because in the end it is just a lot of money going around in circles. My parents and I buy our own gifts. We allow $100 each. I have bought a silver bracelet and necklace which I wear all the time. My Dad bought a good quality cutlery set which we needed and is such a pleasure to use. He still has money left as we got it at a bargain price. And Mum put hers towards a natural ruby and diamond ring which is lovely and she wears every time she goes out. So everyone has got what they wanted, and no clutter has been created…except we have to get rid of some of the mismatched cutlery that the new set replaced. your gift giving method makes a whole lot of sense in so much as you all get what you need/want. Send the mismatched cutlery to the thrift store they sell them all the time. There are plenty of people who can’t afford to buy new. Colleen – I love so many blogs (since I started with yours), but I love yours the most, cause it’s NOT about buying stuff! It’s NOT about having more! And I love it… And it comes with no ads to boot! I love that you feel comfortable enough here to air your disagreements. Even though I wrote number 9 I don’t live by it. I still have so much craft clutter to work my way through that I still make and send my cards to about 30 people every year. Although that is my habit number 9 has it’s merits especially the part about the transport. Not to mention the people on the greeting list who aren’t computer savvy although their numbers are sadly becoming depleted as they slowly leave this life. Every year there seems to be at least one less. On a lighter note, I really enjoy making my cards but it does only add more complication to the Holiday season but it is a complication the I am happy to endure. Ah that is right – you do send cards too! And I don’t disagree with the environmental impact of sending cards far and wide! But it’s like travelling, it’s also bad for the environment, far worse than no recycling. But no one is 100% green and perfect. And you have to live. At least for you, you’re getting rid of some craft clutter! You know, this ‘decluttering’ has permeated more than i thought. I cheer a little internally when something is empty (like two milk cartons this morning!) Even though there’ll be more, I just feel this joy out of ‘yay, two less bottles of dregs in the fridge’. I’m also two matches away from that box being done. Weird huh? I fear you are right about the travelling but that is something I am not prepared to give up. So I will refuse, reuse, reduce and recycle to at lease make some so compensation for that. Travelling, being wasteful and not recycling would be a moral sin in my book. I get that same cheer you are talking about whenever something is used up and have done so even before I started my declutter journey. I feel good about making the most of things which is why I persevere with the use it up challenges because I hate things going to waste no matter how tedious it is to use them up. I dare say one day I also will switch to emailing holiday cheer but with the amount of craft supplies to make my cards that point in time could be a long time coming. Hi Colleen. Really love your posts and wish I’d found you sooner than three months ago! My colleagues and I (teachers) decided yesterday that we would not do a Secret Santa this year. Instead we are donating the money to a charity – most probably one that provides educational supplies to third world countries. Thanks for all your inspirational ideas. Hi Megan and welcome to 365 Less Things. Thank you for dropping in to introduce yourself to us and to share the story of your Christmas gift giving alternative. What a wonderful way to celebrate a long hard year of teaching by giving the gift of educational supplies to children who would otherwise go without. Well done! Give yourself a pat on the back and thank your fellow teaches who are participating in this selfless act. I went to Southland yesterday and all I bought were 2 books for Christmas presents and sushi for lunch! I went into lots of shops and looked at lots of potential Christmas presents for the kids and believe me, I was tempted. You know, the old “if I buy them stuff, they’ll know I love them” chestnut. Best to just stay out of the shops in future!! Fortunately I’ve done almost all my Christmas shopping on line, and am going to write a list of stuff I’ve already got this weekend. It’s a bit harder when my son’s birthday is the week before Christmas too. Luckily, he gets cash from the in-laws so he can then buy whatever he wants (Lego and yet more Lego!) I was very proud of myself for not succumbing to starting him on a Warhammer collection. Man, that stuff is expensive!! If he desperately wants it, he can save up for it himself. Well done Loretta, resisting temptation is hard enough for anyone at this time of year but hardest for parents I think and perhaps especially mothers. You do such a great job with your kids so don’t change tactics now. Good for you not starting that Warhammer collection, as you say, if he wants it badly enough he can save up for it himself. They learn a better appreciation for their things that way. I think one of the best things for giving as gifts is donating to a charity and giving a card to the person you are “giving in name of” and explaining what that charity is to them, and maybe even what you donated for them (as in, buying chickens for a third world family, buying vaccines for a child, etc.). The nice thing is, is if you don’t have a lot of money to donate, you can just donate a lump sum, and let several people know that you donated money in their name–just don’t name the amount. That way you may only be able to afford to donate $25 total for 5 people, so it is only $5 per person, but they don’t need to know that! I really like donating to Gospel for Asia (gfa.org), a Christian organization where 100% of the donations go the ‘field’, and not administration costs. They even provide cards for you to send to people to whom you donate ‘in their name’. I like this idea also and yet i had never thought of this for birthday gifts. Usually I send my parents and in-laws lottery tickets. i know what I will be doing in the future. We have an Oxfam shop in my local mall which makes this a very simple task for me. Thank you for triggering that little brainwave. I will include a few of these donations in my Christmas cards as well. I must say it does concern me how much on our donations go to the “field” as you say, rather than administration costs, I love a charity with a good balance in this area. Fantastic list………couldn’t agree with you more on ALL those points. I told my mum to do the email card thing…..or at least just a short email note wishing people well etc.. Number 2 is so me! I don’t do any gifts for other adults, just for my two nieces…..already purchased, wrapped and given to them……….as l won’t be seeing them at Xmas. Yep, do the holidays your way………..people around the world are different. Lots of people in Oz do the seafood thing and lots just go away or down the beach……….l second that motion! Was just at a massive shopping centre in Sydney and couldn’t get over the excess of it all…………it’s all shiny and pretty at first and you say l’d love this and that………..but then when you really look at it…….it’s so overwhelming……..far too much. 99% of the stuff you don’t need and won’t use! I feel l can breathe again just from walking out the door. I am all for the eCard idea but I haven’t converted to that yet because I will be the next hundred years using up my craft supplies making mine. We eliminated brothers and sisters, nieces and nephews off our list years ago when they kept increasing in numbers. Having 4 siblings and 8 nieces and nephews I would be forever broke if we had kept buying for them all. haven’t done so since bout 1985. I then stopped buying even for the parents and in-laws a couple of years ago. They were happy with the new arrangement. Yes doing the holiday the way that suits you is the best way because regardless of everything else it is supposed to be festive and enjoyed. Ah the shopping centre, always best avoided no matter what time of year it is. I was debating whether or not to say something about the sending of e-cards, and I see that somebody beat me to it. For some reason, e-cards have always felt to me like somebody couldn’t be bothered to send a “real” card. Yet, reading a holiday greeting posted on somebody’s Facebook page doesn’t strike me that way at all. Strange. I like what you said about money “just going around in circles”. That has bothered me for years now, ever since giving gift cards became popular. funny about your preference for Facebook over eCards because there is probably more effort involved in sending the eCard. Ah well there is always a mind game involved in all our likes and dislikes isn’t there. I will stick to making and mailing my cards for now. I suppose I am allowed to old fashioned in something. Yeh, that money going around thing sent me crazy. That is one reason why #6 is one the list, I put up with that for longer than necessary. I could hardly believe how quickly the relative jumped for the idea of stopping that madness. I should have suggested it sooner. And I agree gift cards aren’t that different to not giving gifts at all unless it is a oneway street where you give them to someone who can’t afford to buy otherwise and they are giving you nothing in return. eCards are especially handy in your situation. It can be very expensive sending greeting overseas and getting the timing right can also be tricky. Hi Colleen, I’m finally blogging again. This is an awesome list and I like the new look of your blog. it is good to hear from you. Are you finally settled this time or are there more moves on the horizon. You have become a gypsy over the last two years. I am loving your art by the way, you are a creative soul that’s for sure. My Hubby is the one who creates the layouts for my blog so I will tell him you like it, I know he will be pleased. I like Rebecca’s idea of donating to a charity in the name of your gift recipient. You can make the contribution more meaningful by donating to the gift recipient’s favorite charity, rather than to yours. I like that idea Anita.